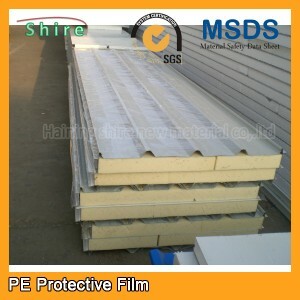 Our aluminum panel protection film offers good elongation property, stable adhering capacity and ease of use. 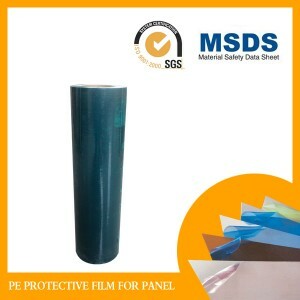 It won't leave any sticky residue on the surface when removed. This film is widely used for protecting polished surface, frosted surface, brushed surface, and heat-tinted surface of aluminum panels in the process of transportation, storage, processing and installation. Our aluminum panel protection film uses polyethylene as base material and water-based acrylic adhesive, with adhesion strength ranging from 20 to 400g/25mm. 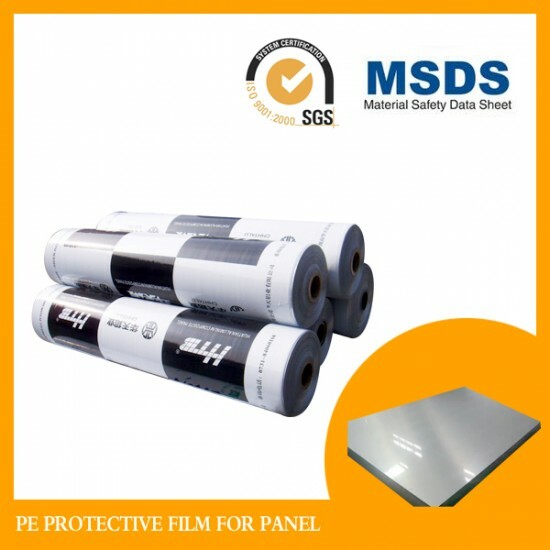 Available in 100-2000mm widths and 100-2000m lengths, our aluminum panel protection films can suit almost every need. 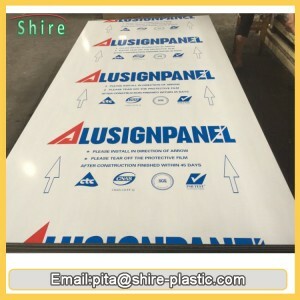 Additionally, it can also be made according to customers' specific requirements. 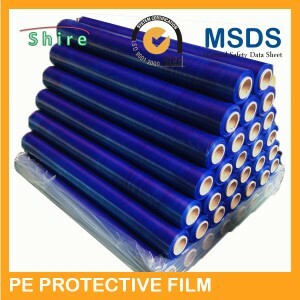 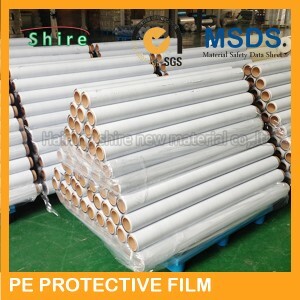 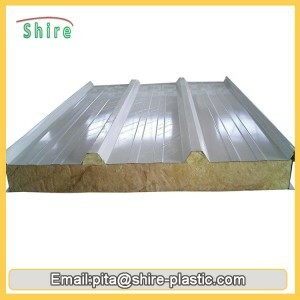 Shire is an experienced aluminum panel protection film manufacturer in China. 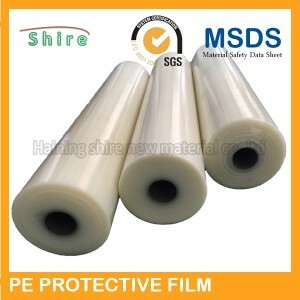 Our company provides a wide range of products, including floor protection film, glass protection film, tile protection film, and others.